Lululemon scored a big legal win today, as a judge has ruled that a lawsuit brought by investors accusing the company of knowingly covering up a defect in its yoga pants should be dismissed. The defective fabric prompted a costly recall after customers complained that the pants were see-through. The lawsuit claimed Lululemon had defrauded its shareholders by purposely covering up the issue and glossing over its inability to address shortfalls. 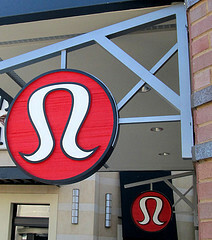 The suit said the company misrepresented its quality control and basically tried to sweep the whole thing under the rug while Lululemon lost $2 billion in market value due to the recall. The U.S. District judge on the case in Manhattan said in a draft decision that the investors’ argument that Lululemon’s failure to properly test the pants, ostensibly on live people to see how they did in action before selling them doesn’t constitute fraud, reports Reuters. The judge also issued draft dismissals in two other lawsuits that sought to hold current and former executives at the company liable for damages, because those suits didn’t address “red flags.” Those plaintiffs can try their cases again in the future, she said. The company’s had a spate of bad publicity since the luon fabric snafu a year ago, including when its former executive and company founder Chip Wilson said its pants weren’t made for all body types, meaning if they don’t fit, it’s your own fault for being too big. We’re still waiting to hear if the company has decided to go with my colleague Laura Northrup’s idea of a plus-sized line called Lulumelon. Next Should Online Publishers Block Users Who Install Ad-Blockers? Next Up: Should Online Publishers Block Users Who Install Ad-Blockers?